The Fashion Industry is complex. Its supply chain is long and convoluted and requires extra care to execute successfully. Even the filing of products is more complicated than most, with hundreds of variations of shoe, dress and shirt. It’s really no surprise then, that an out-of-the-box ERP solution won’t fit the bill for most apparel businesses. However, there are some tweaks that can be made to suit the specific needs of your industry. 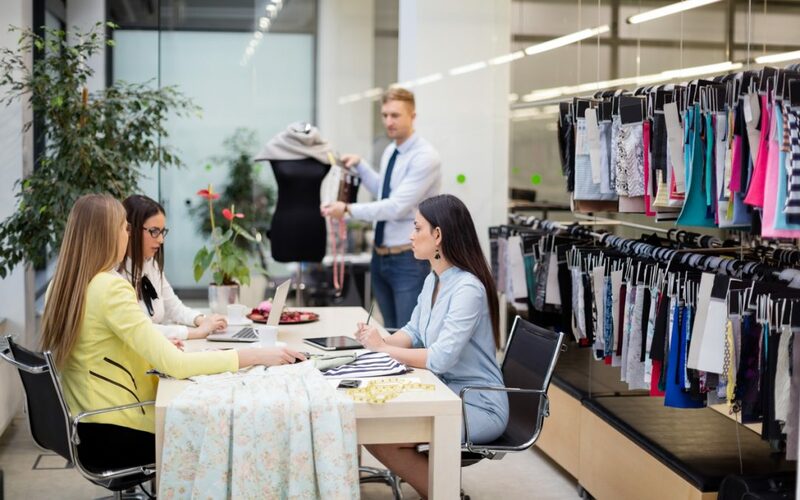 Here are 8 of our most valuable Microsoft Dynamics 365 Business Central features for the Fashion & Apparel industry, including those we’ve created in our solution Mercurius TailorMade. Business Central traditionally stores product data with just one item variant. This is an immediate problem for businesses dealing with apparel—where size, colour, style and fabric could all be variants for a single product. Our solution allows for both a horizontal and vertical component, combining to form one variant with its own unique variant code. This means that when creating Purchase Orders and Sales Orders, all the information for the same product appears on a single line. Furthermore, we’ve added Fashion-specific fields to the Item Card such as Season and Weave. If you’re trading internationally, you may need to convert your product data from one size system to another and back again. Our solution makes this easy, storing the data for multiple size systems simultaneously and switching instantly between them when required. As standard, Business Central only allows one image per item. This becomes problematic for Fashion & Apparel businesses who want to show each item from multiple colours or from different views. Our customisation allows you to associate multiple images with a single item, giving your customers a 360° view of your products whether in the showroom or on your web store. Fashion & Apparel businesses often have multiple products in similar categories that share many of the same attributes. For example, your whole Summer collection might be in a particular print or all your Suit Jackets might have the same style of collar. Standard Business Central requires you to input this same information manually each time you create a new product. Instead, we’ve customised the solution to save these shared values as a Model Card, giving you more time to focus on what matters. Specifically designed for Fashion & Apparel businesses, our customised solution automatically calculates the weight of packages and provides you with the shipping cost, saving you time and money. Mercurius TailorMade is built on Business Central, allowing you to leverage functionality from Microsoft’s Power Platform. The Power Platform gives you access to PowerApps, Power BI and Flow—as well as Machine Learning and AI to use your data and provide you with actionable insights, helping forecast customer demand and make data-backed decisions. Business Central offers a lot of inbuilt integration to other Microsoft products, including Outlook, Excel, other Dynamics 365 modules and SharePoint. Integration to D365 for Sales can give you advanced CRM functionality, whilst D365 for Retail can further your functionality to provide a consistent omni-channel experience. SharePoint integration allows you to harness the power of SharePoint portals to create a collaborative experience with B2B and B2V sales and supplier portals. NP Retail is a future-proof Point of Sale (POS) system specifically designed for retailers. Integration between Microsoft Dynamics 365 Business Central and NaviPartners Retail & Ecommerce solution gives you complete control over your inventory in real-time. The POS solution comes with a responsive design, perfect for touch PCs and as an mPOS on tablets and smartphones. Its ecommerce counterpart, NP Ecommerce, is a web store solution seamlessly integrating Business Central with Magento 2 to automate processes such as bookkeeping, inventory control and financial management. Together, the solution enables you to manage your end-to-end supply chain easily from one application. We’ve created Mercurius TailorMade as an end-to-end solution to control every aspect of your apparel business with ease. This blog post covered parts of the functionality we’ve added to make it work effectively for your business, but you can visit our comprehensive whitepaper to explore the solution in more depth. Alternatively, you can get in touch with us on 01908508080 or at info@mercuriusit.com.